With the very exciting impending arrival of a brand new Royal Baby currently on the cards, it's fair to say that the majority of the UK has got baby fever as the Great Kate Wait is well & truly under way once again! I myself get pretty excited about hearing news of the Royal Babies arrival - I know a lot of people aren't interested but personally I find the Royal family fascinating and given that I experienced my first pregnancy at the same time as Kate had hers and have now gone through my second pregnancy alongside Kate's too - I feel a bit of a kinship with her! Strangely, my own mother was pregnant with me at the same time that Diana was having William & had my sister when Diana had Prince Harry too! Anyway - I digress! 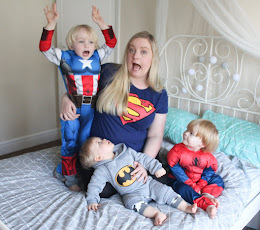 - because of the timing of Noah's arrival coinciding so well with the second Royal baby, when I was kindly offered the chance to try out an item from Cobweb Knits - I knew exactly what I was going to choose! 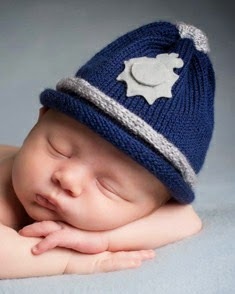 I just had to have the beautiful Crown Prince hat for my own little Prince Noah! This beautiful crown, with all of its stunning detailing, was delivered just 24 hours after the order was discussed - how anybody is able to create such intricate and beautiful work so quickly is beyond me! 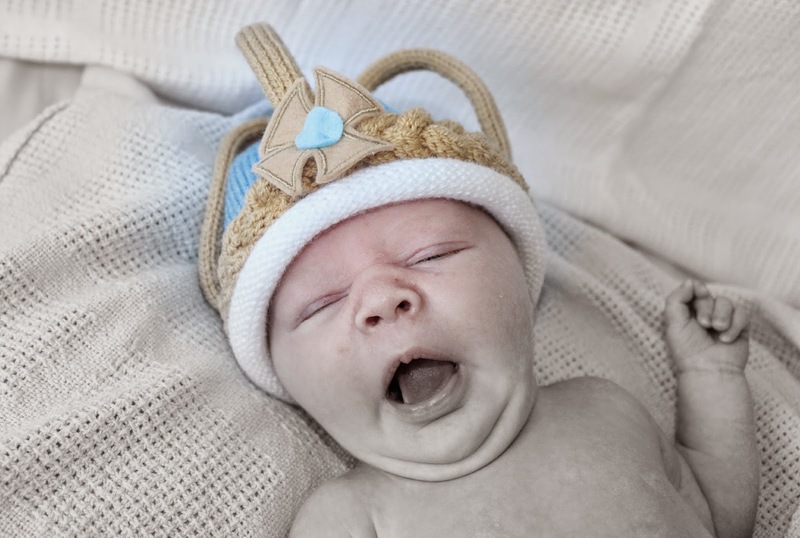 The quality of the hat is just stunning, the colours are beautiful and as you can see it really does make the perfect prop for those treasured newborn photos! 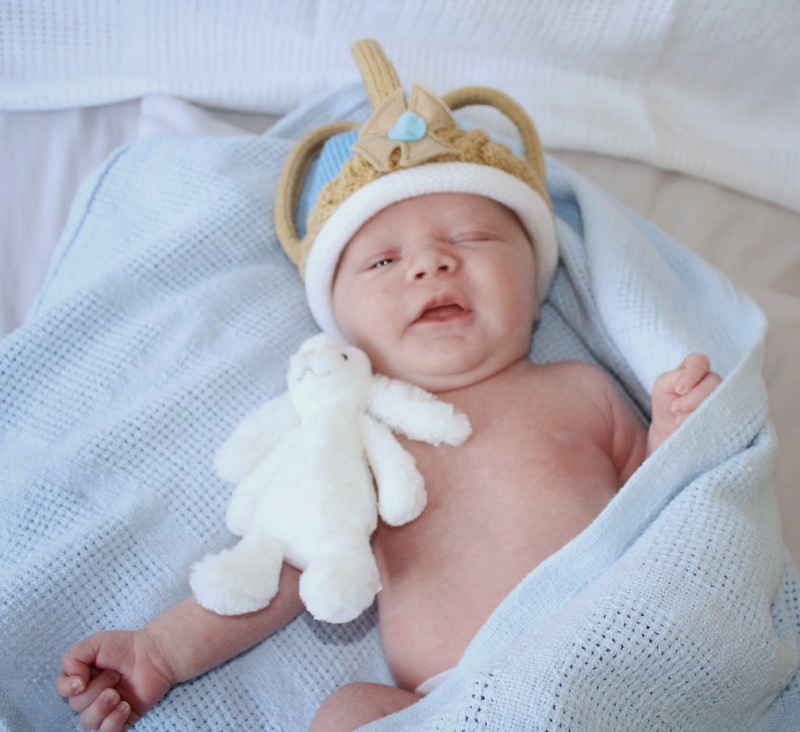 I took all of the photos of Noah wearing this crown in my bedroom this morning before getting him dressed for the day - it took no longer than 5 minutes, he was perfectly happy wearing the hat as it's so soft and comfortable, and I'm left with priceless photos to treasure for a lifetime! 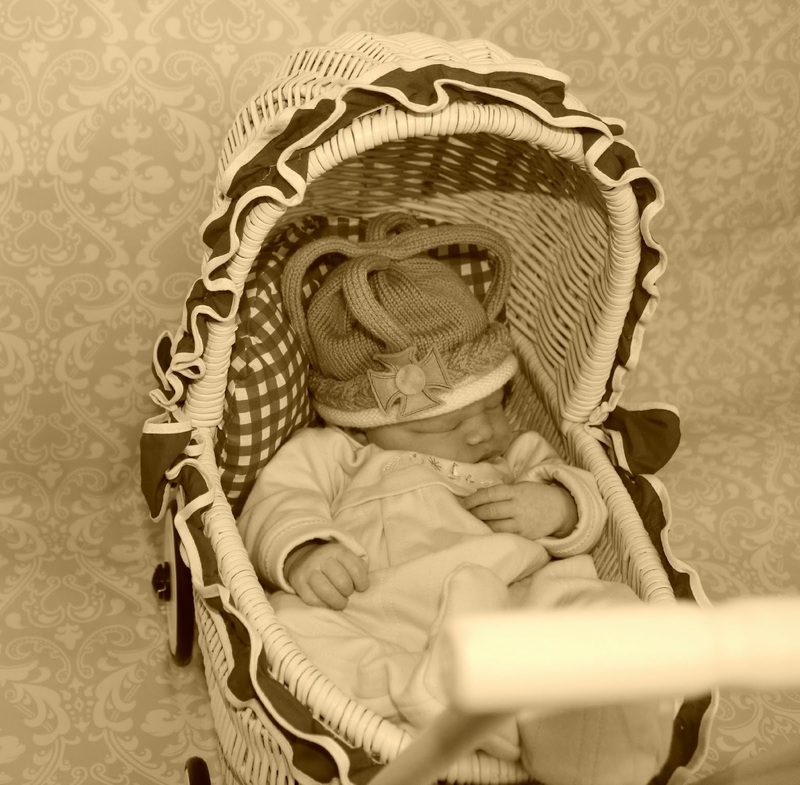 I really do think these beautiful hats make all the difference to do-it-yourself baby photos, giving them that professional look! 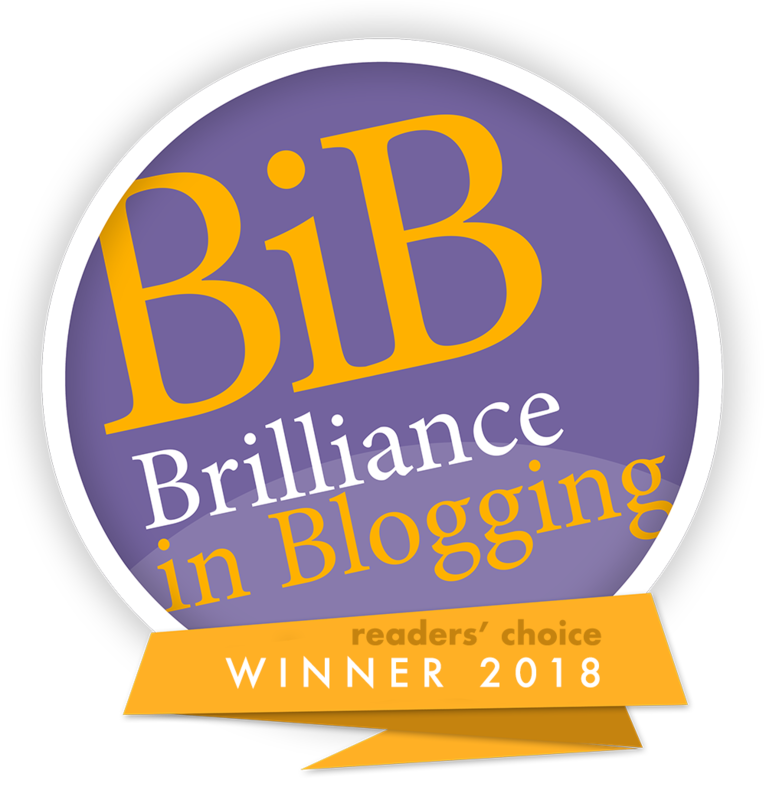 A little more about the company....Cobweb Knits are a company based in rural Wales who, since 2008, have specialised in producing stunning hand knitted hats for babies & toddlers. 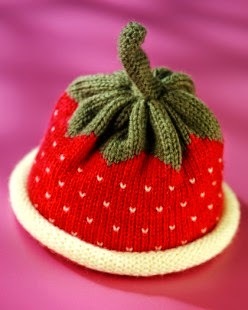 While Cobweb Knits also offer various other items such as childrens clothing and personalised aprons, it was the adorable themed hats that started the business. With so many cute & kitsch ideas to choose from it can be almost impossible to narrow down your choices - with everything from adorable fruit & veg themed hats to the super-sweet hero-inspired range which includes everything from police hats to pilot helmets! 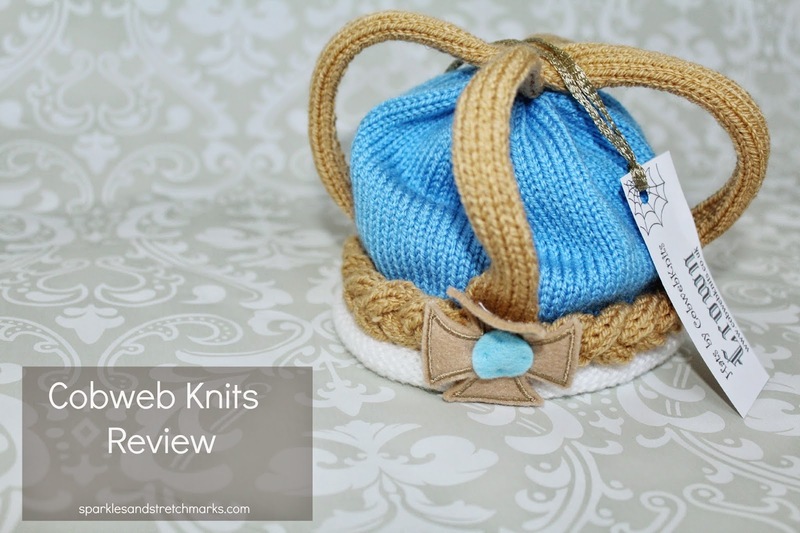 What I love most of all about Cobweb Knits is that, for once, the boys are not excluded! I find so often that many companies seem to think that cute & kitsch creations are limited to girls only but boy mamas want nice things too! Just because my baby is male doesn't mean I'm any less inclined to want to dress him up in cute little outfits and take lots of photos that he'll probably hate me for in 20+ years time when I'm showing them to guests at his wedding...right?! Another thing I love about Cobweb Knits is the personal touch - each & every item is handmade in Britain with love & care - item's can be custom made to order so if you have a colour preference or even a design you'd really like then Cobweb Knits are always happy to help and have a chat about your ideas and do their very best to accommodate. Orders are generally made & dispatched within 48 hours of ordering - making these adorable hats the ideal gift for a new baby, even if the gender is a surprise! 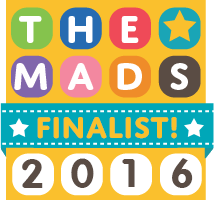 - you no sooner order and it arrives at your door! To find out more about Cobweb Knits please visit their home page, or follow them on Facebook or Twitter. 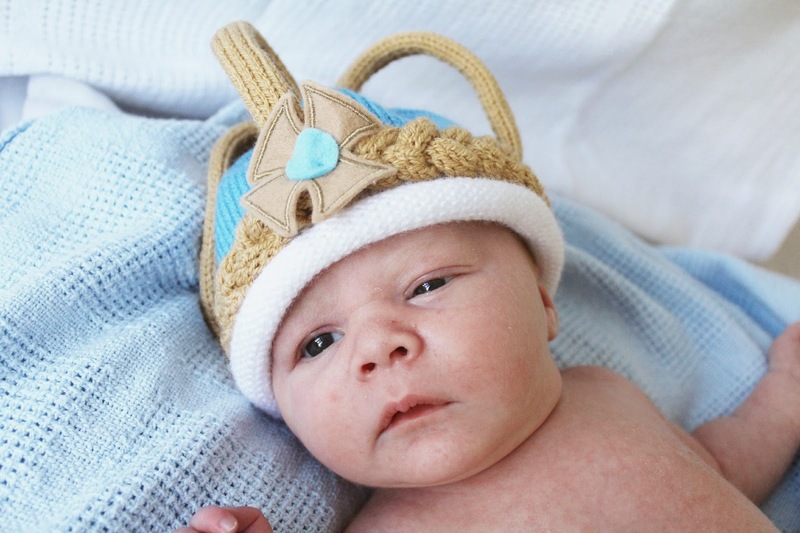 To be in with a chance of winning your very own hand kitted crown, just enter Cobweb Knits Royal Baby competition below!